Here's a quick run-through on how to use the SERP features filter. 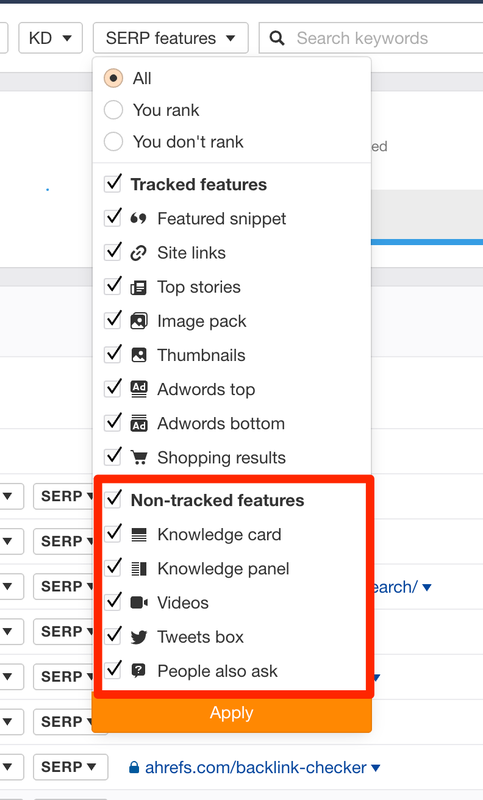 To know the entire list of SERP features that we track, check out our article on it. 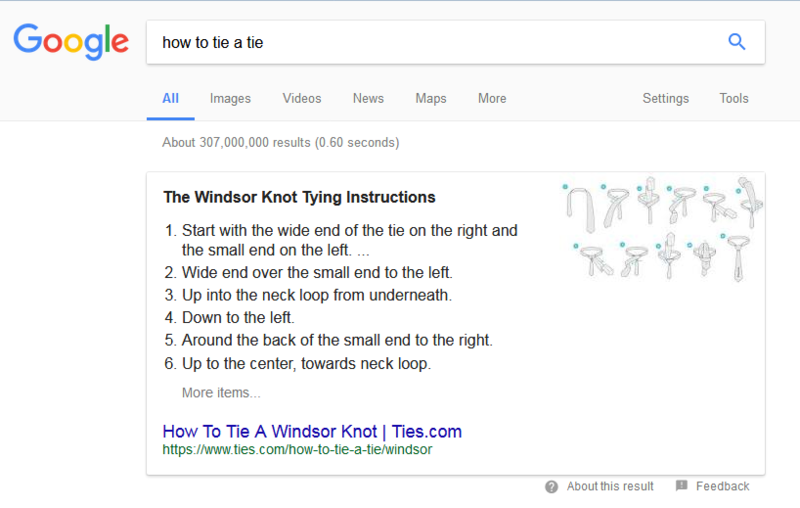 A grayed out SERP feature beside your keyword tells you that a SERP feature is present for that particular keyword BUT you do not rank for it. 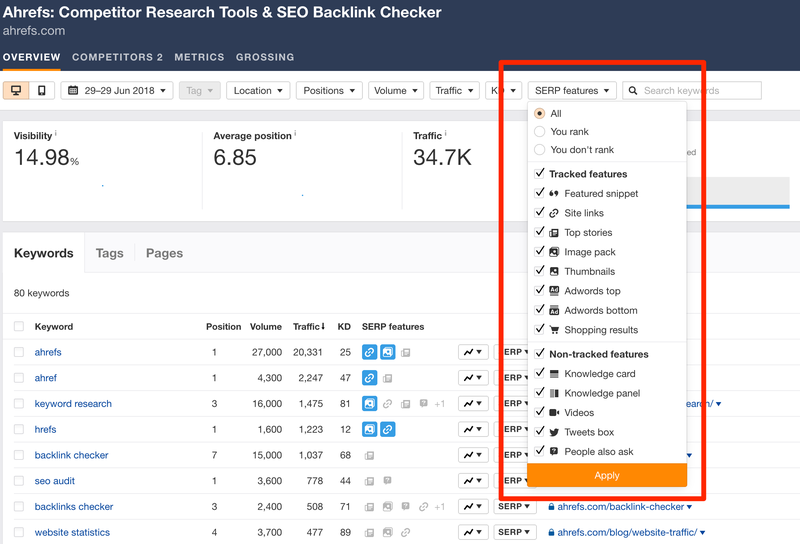 In this example, a SERP feature ("Top Stories") exists for the keyword "backlink checker" but unfortunately, our website (https://ahrefs.com/) is not ranking for it. On the contrary, if the SERP feature is in blue, that means that you are ranking for that SERP feature for that particular keyword. In the above example, we (https://ahrefs.com/) are ranking for a "Image Pack" SERP feature for the keyword "keyword research". Back to the SERP features filter. You will see that there are two types of features - tracked features and non-tracked features. Tracked means that Ahrefs is able to determine if the target domain/URLs are in these features. Now that you've understood all the different technical terms for the SERP features filter, it's time to play around. Here's an example of what you can potentially do. 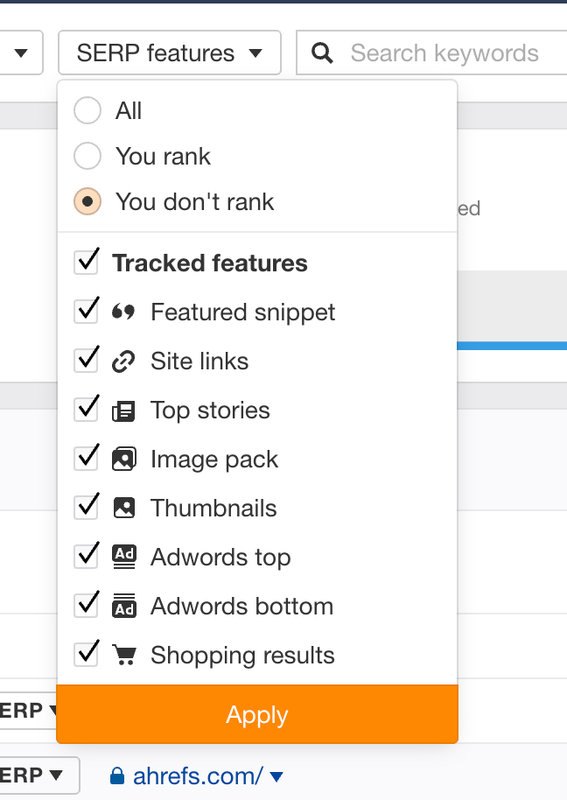 First, check "You Don't Rank" for all the tracked features. 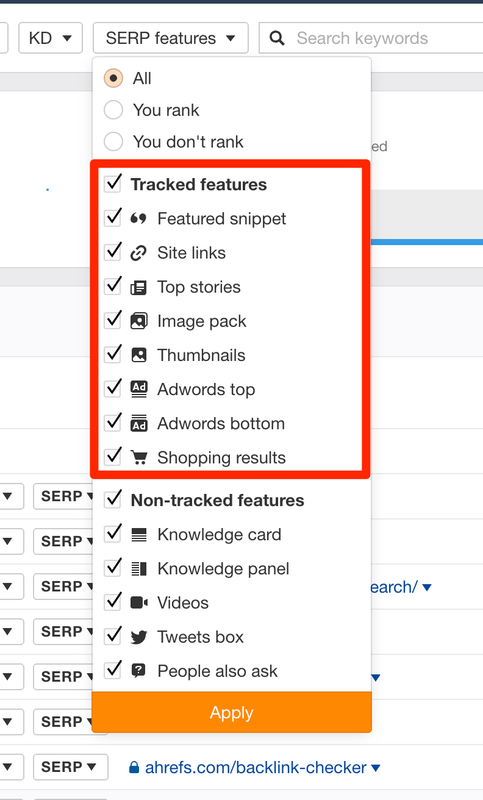 Feel free to toggle around the SERP features filter and find different ways to optimize your site for these important features. 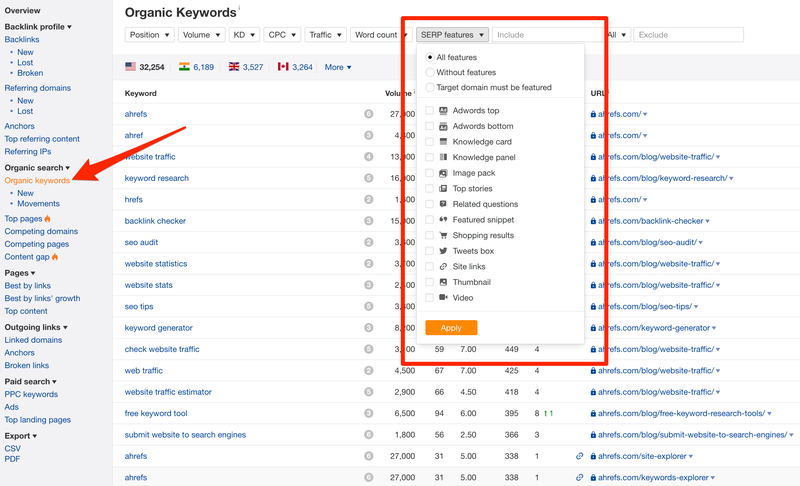 You can also find a similar SERP features filter in Site Explorer to discover whether your site (or your competitors) are ranking for any important SERP features.